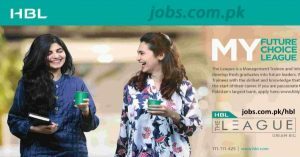 Habib Bank Ltd (HBL) is inviting applications from fresh graduates and students (currently enrolled in 3rd year of Bachelor’s programme / 1st year of Master’s programme) for its 2019 Internship and Management Trainees Program (The League). 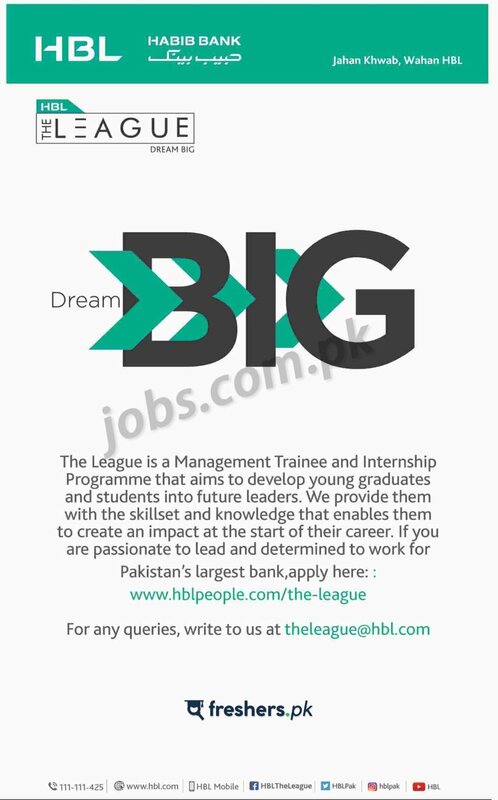 The League Internship Programme is designed to help you explore our organization and gain hands-on-experience to evaluate future career possibilities with Pakistan’s largest financial service organization. Spend your summer in a dynamic environment working on real time application of financial and economic principles. Engage with industry leaders to broaden your skill set through a variety of work experience in product innovation, research and analytics, marketing and brand management, human resources and relationship management. Required qualification from a recognized institution and relevant work experience requirement are as following. Eligible candidates are encouraged to apply to the post in prescribed manner. Incomplete and late submissions/applications will not be entertained. Last date to apply to the post online is 28th February 2019.